In this Osprey Hikelite 26 Pack review you can read about a new versatile daypack from a 2018 series, with a trampoline style mesh and an excellent ventilation. Great ventilation based on the AirSpeed suspension and a trampoline style mesh. This Hikelite 26 pack is a part of a new 2018 mini-series which also includes a smaller 18 liters pack. If you are familiar with the famous Osprey Daylite Plus pack, you will realize that they look very similar. But this Hikelite pack has more features and it is bigger of course. 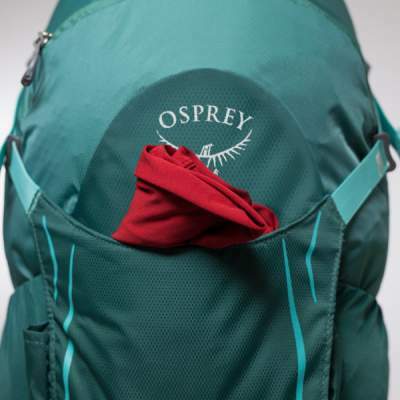 Osprey’s packs are not cheap, and it is good to have one that can be used for various purposes. It appears that this Hikelite 26 is the one of this type. It is good enough for occasional hiking day tours as well as for the city use and for commuting. Note also that this is a unisex model, so you do not have parallel packs for genders, as typical for many series by Osprey. They themselves (I mean Osprey) describe it as “simple yet effective”. So indeed, here you have all features essential for day hiking tours. 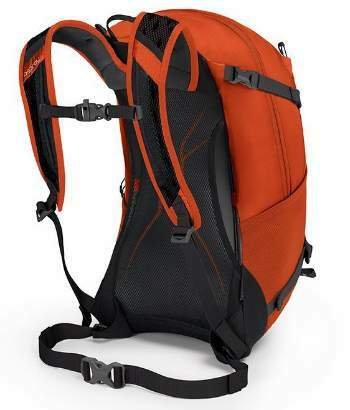 The materials are durable, the pack comes with some high-performance features, and it is a great choice for the money. This is a panel loading type pack, so you have a long zipper that goes around, and it doesn’t look like a hiking pack. But it has a few very useful features for hiking, see more below. The pack is hydration compatible with Hydraulics and Hydraulics LT reservoirs. 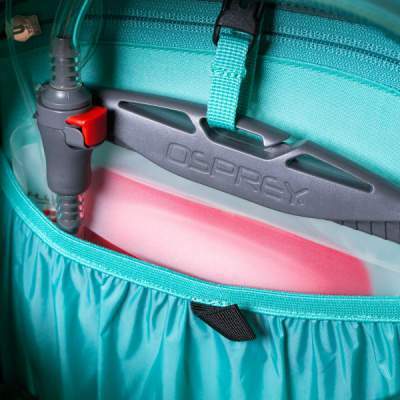 You have a separate sleeve inside of the main compartment, and the hose port is in the middle on the top, so you can route the pipe along any of the shoulder straps. Here you have what they call AirSpeed suspension. So this is an excellent design for small and mid-size packs. The main part of it is the tensioned trampoline style mesh. If you follow the trends in the backpacks’ industry you will know that nowadays more and more packs have this system in place. This initial invention by Deuter introduced in 1984 is now used by many brands, and Osprey has it in several of their series. 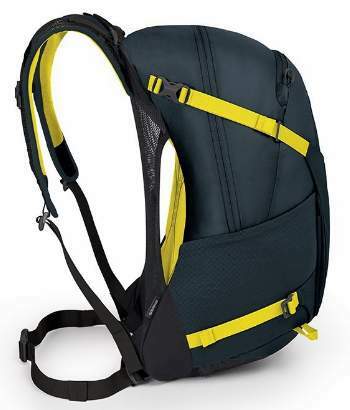 You can see it in Osprey Syncro 3, and in Osprey Exos 38, and also in Gregory Zulu packs. The mesh is tensioned by a peripheral steel wire, and it keeps the pack away from the body all the time, see the picture below. This allows for air circulation in all directions. The tensioned mesh separates the pack from the body. The suspension system is simple, no hip belt padding. As you realize from the pictures above, there is no padding on the hip belt. This is the part of this design, and not everybody may like it, but this makes it look like an ordinary pack for the city use. In the case of hiking, it will still help a bit to transfer the load, remember that you have an internal frame here. But I would not put a lot of stuff in the pack with such a hip belt. The sternum strap is with rails on the shoulder straps, and you also have the usual emergency whistle. The rain fly adds value to this pack. You have it stored in the dedicated pocket completely on the bottom. So this is a part of its hiker-friendly design. If you do not need it, it is removable and you have an extra pocket on the bottom for some other purpose. Rain fly in its separate bottom pocket. The inner sleeve for reservoir. You have the main compartment big enough to easily accommodate a 15 inches computers. Inside is a separate sleeve which you see in the picture above, to store a reservoir if you use it as a hiking pack. On the front, you have a large front shove-it pocket, a useful space when you are on a hike, to store some spare layer or your wet jacket, see it in the picture below. It is big enough for a climbing helmet. Two large stretch mesh pockets are on the sides, they use the term PowerMesh, I wonder why, those are just pockets for water bottles or to store some gear which you can fix with straps. You also have a scratch-free pocket on the top, for glasses and electronics. Note that inside of it you have a tiny extra pocket for keys, plus a key holder. This tiny pack has two compression straps on each side. This is very useful to cinch the pack and secure the load in the case when it is not full, and also to fix some items which you might carry stored in the side pockets. There are attachment loops on the bottom for trekking poles, and the picture below shows how to use them. You also have a very useful carry loop on the top, this is sometimes overlooked, but this is very useful to have. The hip belt is the part of this design, which is meant to be used as a city pack as well, and this is why the belt is minimal. When hiking, it will keep the pack from bouncing and this is its main purpose. Weight: 1 lb 10 oz (737 g). Capacity: 1587 cubic inches (26 liters). Dimensions: 19 x 11 x 11 in (48 x 28 x 28 cm). Waist fit: 25 – 50 in (63 – 127 cm). – Fabric: 100D nylon; bottom 500D nylon packcloth. 5 great colors, see the pictures. Here I show the Hikelite 26 and two other packs with somewhat similar features, like the unpadded hip belt. 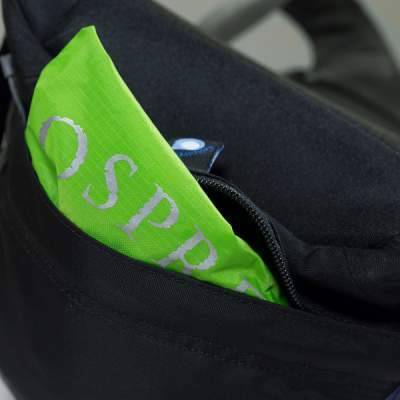 You realize that the Osprey’s pack has much more to offer. 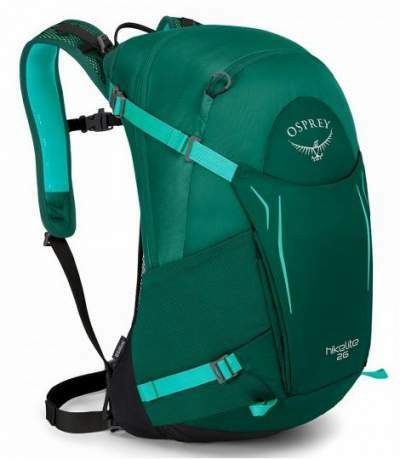 In the conclusion of this Osprey Hikelite 26 Pack review, I would stress that this is a very versatile unisex pack, big enough for light day hiking tours and good enough for commuting and for the city use. It has good features for both aspects of such a use. This is a reliable Osprey’s product, fully recommended. 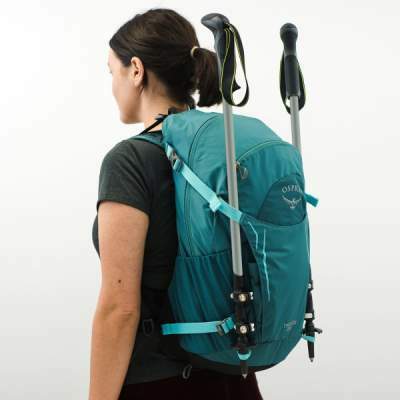 This is a very lightweight pack but if you need something lighter, please check this Mountainsmith Scream 25 Pack. Check also this Deuter Futura 28 SL if you need a padded hip belt and hip belt pockets. If you need something different in the same size range, please check my page with packs below 35 liters. Only quality packs are presented there. See also its smaller cousin the Hikelite 18 from the same series. For bigger packs, please see here. Hello again ! 😉 I was in contact with Osprey. It should be not more then 8 kg… We will see. I`m going soon for a day hike trip but I`m still waiting for my ultralight stuff. I want to replace my old ones to decrease the weight. Wish you best of luck. If you know that there is water on the route, use some filter or purifier, this reduces the weight drastically, normally the water is the heaviest item in my pack. So whenever possible, I carry my purifier Pure2Go, I take the lightest configuration with me, just the filter and the water pouch to collect the water. But this cannot work everywhere, just came back from the Slovenian Alps where there are no water flows high in the mountains. 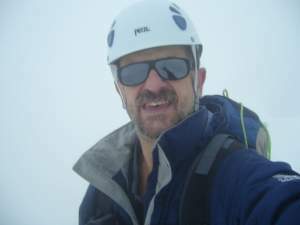 Hi Wojtek, sorry for my slow reply, I was in the Slovenian Alps and did not have access to the Internet. I think they did not give the weight capacity. But I have a feeling that this pack would not be the best option for such a weight. Normally, with my packs almost all the weight is on the hips, this is essential if you climb mountains. In this case here, the belt is thin, it is mainly to prevent bouncing and not to carry the weight.